Wake Forest University has promised to investigate an anonymous Instagram post from last Friday that appears to be a parody of a student government campaign ad. Why? Because the post says the hypothetical candidate (who is a real student, but isn’t running for office and didn’t know about the post) wants to build a wall between Wake Forest and Winston-Salem State University. On social media, the prevailing narrative is that the post is racist because Winston-Salem State is a historically black institution. Wake Forest is a private institution and thus not legally bound by the First Amendment, but it does make several guarantees of freedom of expression to its students. Investigating them for making miscalculated parodies on the internet undermines those guarantees, diminishes the value of Wake Forest’s promises, and squanders administrative resources in order to placate a digital mob. 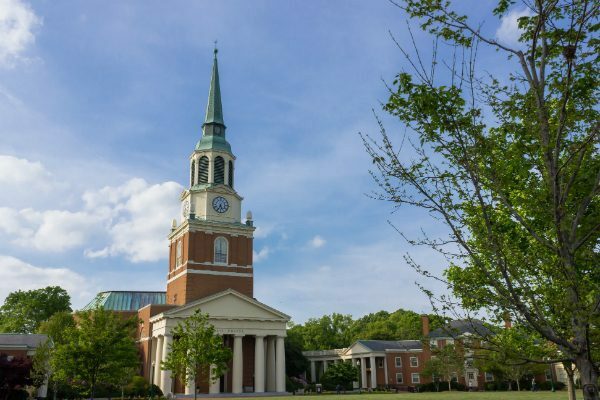 Today, FIRE wrote to Wake Forest, urging the university to discontinue the investigation. Everyone seems to agree that the Instagram post was pure satirical speech, rather than conduct; so far, no one has found a cache of bricks and cement, or a hastily-scrawled blueprint showing stacked bricks on one side and frowning students on the other. One, the team believes it can punish pure protected speech, in which case, it’s violating Wake Forest’s promises and undermining a key goal of higher education. Or, alternatively, the team knows it can’t punish pure protected speech, in which case, it’s wasting everyone’s money and time in what amounts to a form of administrative theater that still chills free expression, because people won’t want to deal with the hassle of dealing with grown-ups being play-time inquisitors every time someone doesn’t like their jokes. Nor is there some compelling urgency for an inquisition, real or make-believe. The account shown in the screenshots is gone; the president’s tweet stated that the university had already contacted the student depicted in the screenshot and that he wasn’t involved in the post; and everyone recognizes there’s no indication a wall is going to be built. What, exactly, does Wake Forest hope to achieve by “investigating” the author of a post that’s gone with content that nobody thinks is real? Does the university wish to go online and announce that, after a thorough investigation, it determined the post was totally unfunny? Does Wake Forest know that, historically, witch hunts haven’t gone well in places named Salem?